Family night out! Beyoncé and Jay-Z brought along their 5-year-old daughter, Blue Ivy, to Bruno Mars’ 24K Magic world tour stop at Madison Square Garden in New York City on Sunday, September 24 — and Us Weekly has the details! They also met up with the Grammy-winning singer backstage at the show, the insider confirmed, as fans caught a peek at the famous family making their way to their seats. The “Formation” singer, 36, kept it low-key in a hooded dress while her rapper husband, 47, wore a T-shirt, baseball cap and gold chains around his neck. As Us Weekly exclusive reported, Bey will make her long-awaited return to the stage for a concert with the Tidal owner to benefit those affected by Hurricane Harvey and Hurricane Irma at Barclays Center in Brooklyn on Tuesday, October 17. Several Roc Nation artists are expected to perform too. Meanwhile, this was the first of two consecutive sold-out shows for Mars in the Big Apple. 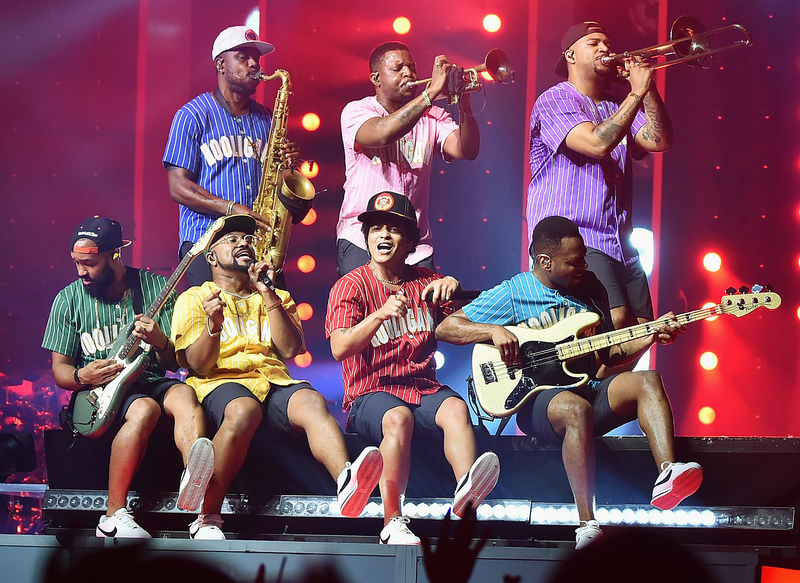 The “When I Was Your Man” crooner also recently filmed his first-ever primetime television special, Bruno Mars: 24K Magic Live at The Apollo, which will premiere on Wednesday, November 29 at 10 p.m. on CBS.